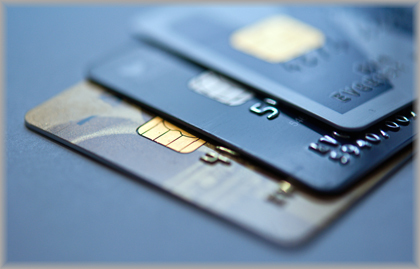 When is the Right Time to Use Credit History As Part of the Background Screening Process? Credit checks, when included as part of a complete background screening report, provide insight into an applicant’s integrity and responsibility toward his or her financial obligations. Some employers only request a credit history for financial positions. But, you may want to consider that there may be other positions that could put your company at risk. Here are a few questions to ask yourself when deciding if an employment credit check on a candidate is appropriate. Will the employee have a company credit card? Is this an account payable or account receivable position? Will the employee have access to corporate funds or valuable property? Is this member going to be a part of upper management? Will the position give the employee an opportunity to damage corporate credit? If you have answered yes to any of these questions, you may want to consider including an employment credit check into the pre-employment background screening process. However, employment credit checks are a valuable part of an overall background check. It is important to note that it is not appropriate for every job category. Several states have passed laws limiting the use of credit reports. There is movement at the federal level to do the same. Justifacts recommends consulting with legal counsel to determine the applicability of any legislation specific to the use of credit reports for employment purposes. The employment credit report provided by Justifacts contains information regarding balances and payment history of credit accounts and loans associated with the applicant, as well as public record information, including bankruptcies, liens, and judgments.